If you want to study ESL full-time, we have some packages you can choose. Combine Comprehensive English Courses with English Test Preparation Courses to create a full-time package that works for you. 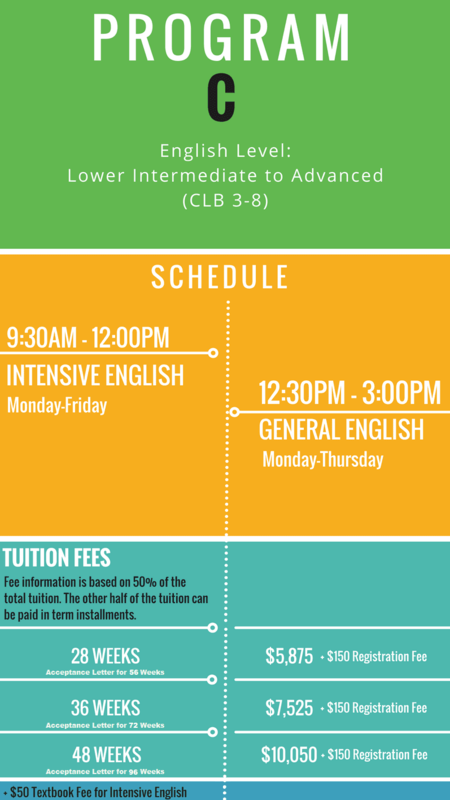 LCC is proud to offer very flexible course options. 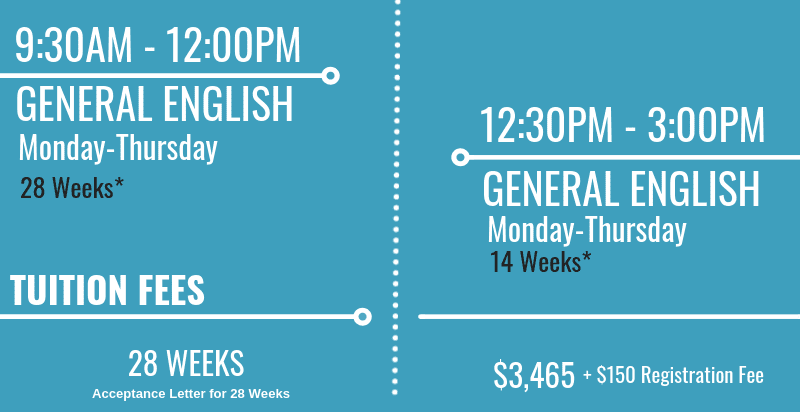 Simply choose your length of study and one of the course packages below. If you have an unusual schedule, please contact our registration team for more options. This program is designed to improve the everyday English of ESL students. Students can start at any level from Literacy to Advanced and are placed in the appropriate course, from which they can work their way to higher levels until they complete the highest level course. The program offers a comprehensive curriculum that covers the four essential skill areas: listening, speaking, reading and writing. Student progress is measured throughout the program. 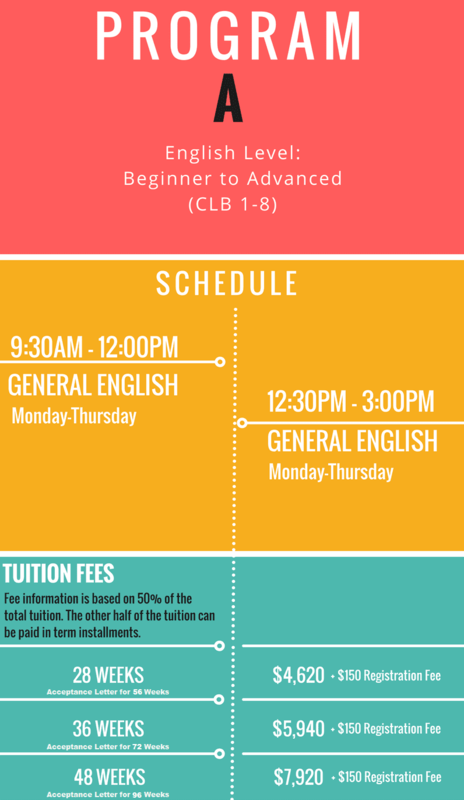 Students will be placed in a level specific General English class based on their English assessment scores or proof of English proficiency. This program is designed for ESL students at the intermediate level or above to prepare them for academic work, or for English language entrance tests for university or Canadian citizenship. 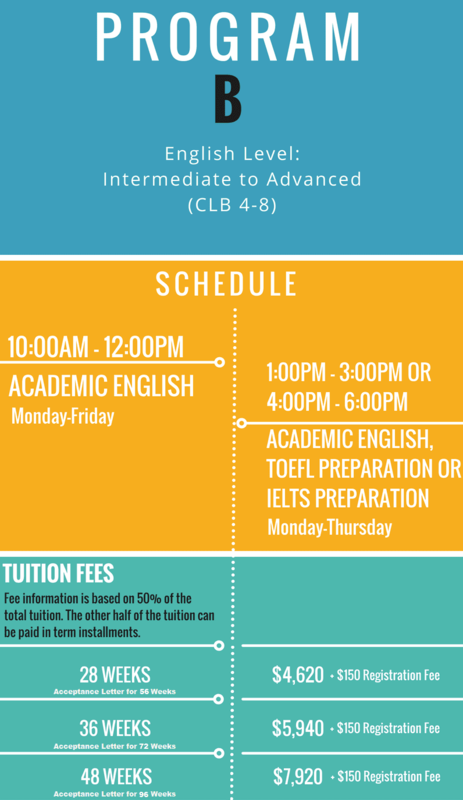 Depending on their choice of courses, they will be exposed to university-level materials including practice tests from the official Cambridge Exams, TOEFL, and IELTS as well as other sources. Topics include listening comprehension, vocabulary development, reading skills, oral skills, essay and letter writing, and grammatical skills. Have proven English proficiency of at least a Canadian Language Benchmark of 4+ (upper/lower intermediate level). This intense and fast -paced course is designed to challenge students to improve quickly. Monthly exams, progress reports and in-class projects assist students to improve their English competency. The program offers a comprehensive curriculum that covers the four essential skill areas: listening, speaking, reading and writing. Student progress is measured throughout the program.